A kitchen remodel is filled with questions and choices that you will have to deal with. The three biggest choices, however, will be choosing the countertop, cabinets, and flooring that are correct for you. Each of these choices are so in-depth and filled with variables that we could talk about any one of them rather than all three but for the sake of convenience, here is one quick look at the most important aspects of each of these major kitchen choices. If you cook a lot or use your kitchen often, you will want a floor that you can stand on for long periods of time without hurting your feet but also a floor that will be very water resistant and easy to clean. Most people choose between wood, laminate, vinyl, concrete, or tile flooring. Wood flooring will naturally give your kitchen a warm look and feel. When matched with great cabinets wood flooring can look stunning but it can get damaged or scratched. To maintain its water resistance you will have to regularly wax your kitchen floor. Laminate is flooring that is made from panels of resin and fiberboard with a thin top layer that provides the color and texture of wood or stone. 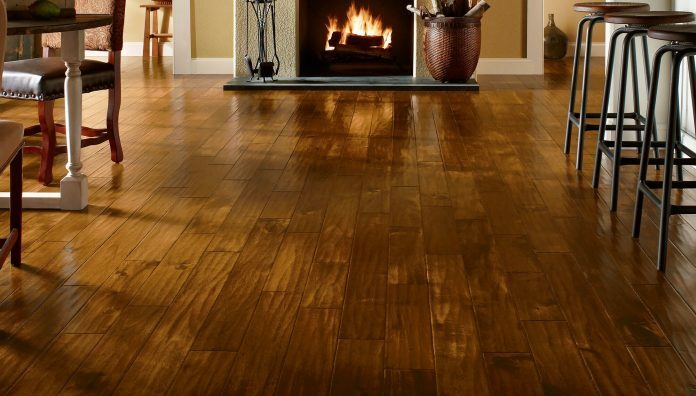 Laminate costs far less than actual wood or stone flooring. Severe water damage can cause laminate to warp but it is fairly resilient. Vinyl flooring shares many of the attributes you will find with laminate flooring but the PVC material that it is made from seems to emit harmful toxins. In a previous article I expressed my skepticism regarding just how harmful this flooring truly is, but I would still not recommend it because of the wealth of other available options. 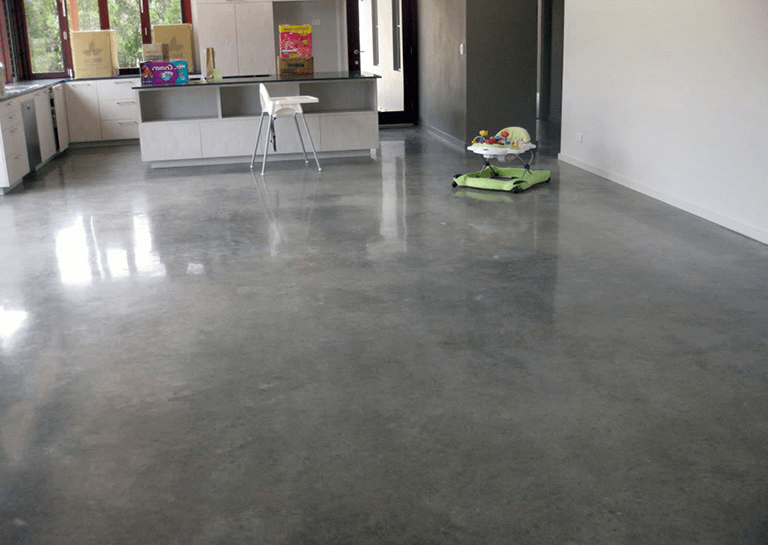 The use of concrete for kitchen floors has become fairly popular. Unlike other flooring materials, this low maintenance option is very difficult to scratch, chip, or otherwise damage. This toughness is also hard on your feet if you like to cook barefoot for long periods of time. Furthermore, installing new concrete flooring is not cheap. 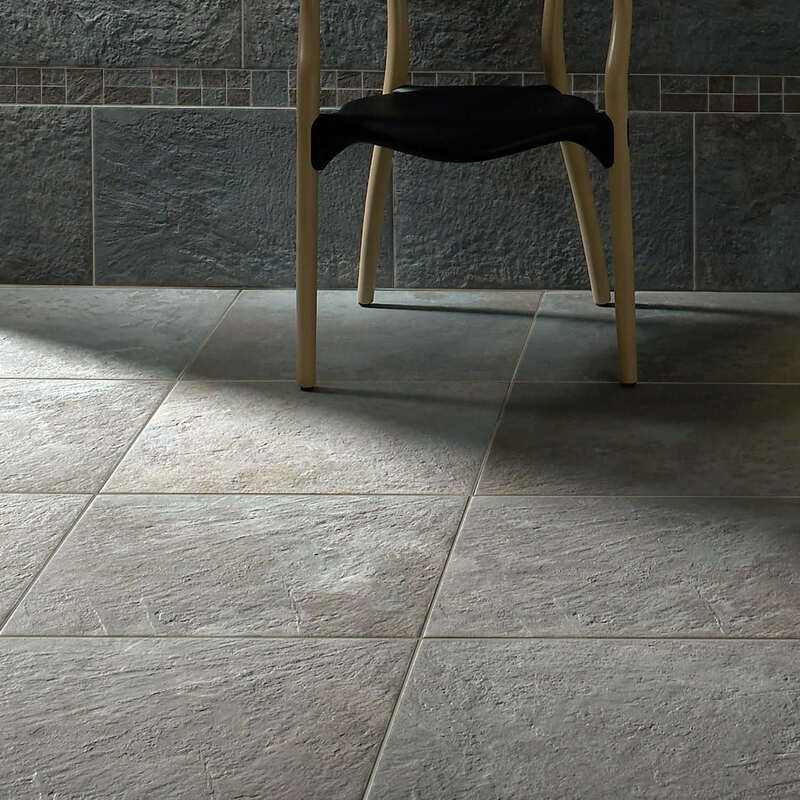 Tile flooring would be any kind of ceramic or porcelain flooring. Tile flooring offers you the option of many different color and texture options. You can also get porcelain tiles with the appearance of wood or stone and it is fairly convincing. Tile flooring can be hard on your feet compared to wood or laminate. I like to break the cabinet choice down into 3 options. You can buy stock cabinets, RTA cabinets, or custom made cabinets. There are advantages to all three. 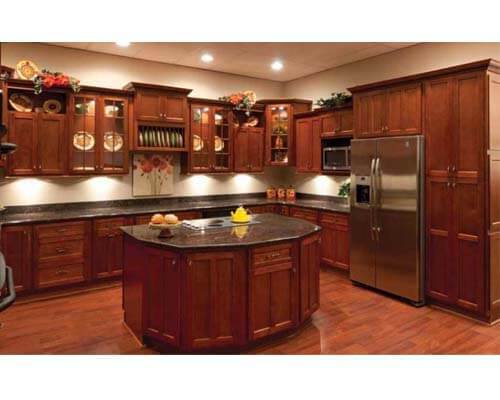 When it comes to cabinets I try to steer people away from stock cabinets. These are the cabinets you would buy from a store so they are ready to be installed in your kitchen making it impossible to customize anything. The only real advantage is that they are sitting there in the store ready to be picked up and installed in your kitchen. If you are like most people, and you enjoy some basic options, stock cabinets wont do it for you. This leaves you with the option of custom made cabinets or RTA. (Ready to Assemble) RTA cabinets are cabinets that give you a lot of options for size color and style so long as you stay within the range of their preset options. RTA cabinets are far less expensive than fully customised cabinets. If you can afford custom cabinets there are contractors out there who will come to your house and build your cabinets for your house. This option may take time but it will certainly leave you with some cabinets you would feel proud to own. Whatever type of cabinet you choose be sure to get cabinets that are built with quality materials. If you are spending decent money on your cabinets they shouldn’t be made like Ikea college dorm room furniture. 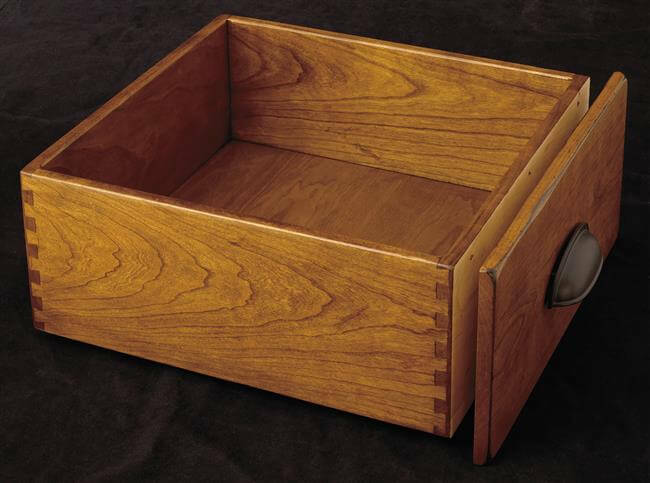 Check to see that the drawers are dovetailed. See if the doors and frame is made out of solid wood, MDF, or particle board. 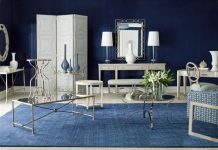 See if the body of the cabinet is made from something sturdy like thick plywood or solid wood. 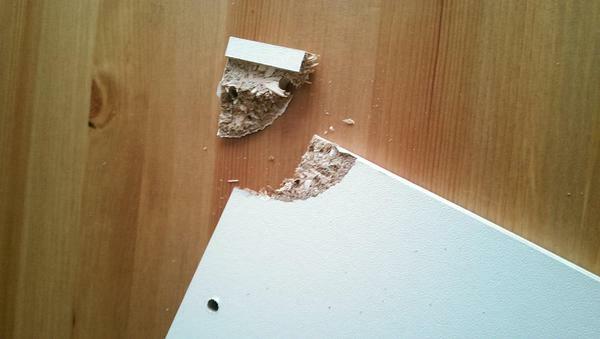 If the body is made from particle board it probably won’t last as long. With that “Ikea” furniture, you buy it, build it, and never move it. When you need to move, you throw it away. Furniture made from particle board is “disposable furniture,” don’t let anyone tell you otherwise. Once you have chosen the sort of cabinets that you want to purchase you can see the various options that are available to you. 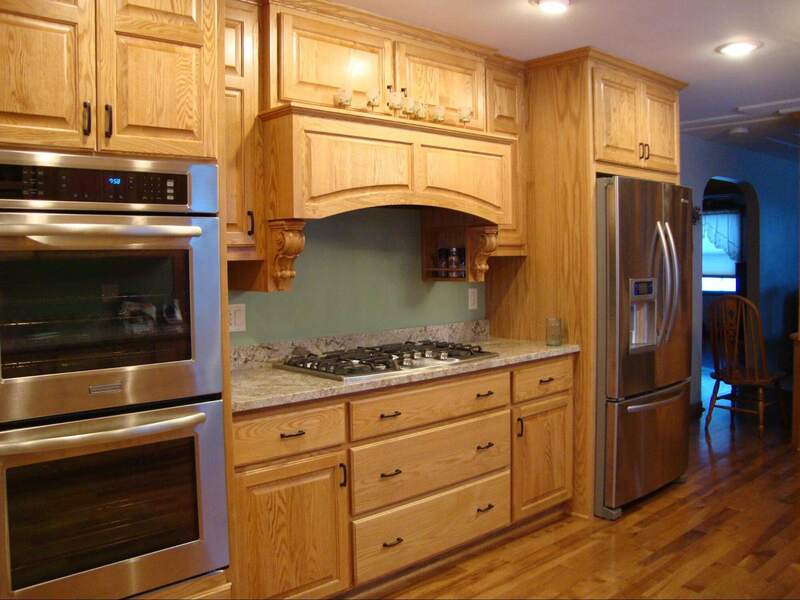 Within each of the three cabinet types there are plenty of options as to what style or color you would like. You probably want to buy quality cabinets that will be a good investment so be sure that you get the look and style that you are comfortable and happy with because these cabinets will last you a long time. Countertops can make or break you kitchen. Great looking countertops are often the first thing that the eye is drawn to when you walk into a kitchen. Like the cabinets and flooring, countertops need to not only look good on their own but they need to work in conjunction with the other two. There are many different options for countertops ranging from natural stone, artificial stone, various woods, Formica, ceramic tile, solid surface, stainless steel, and even exotic stuff like glass. But in my opinion, this choice boils down to 4 basic options: Stone, tile, solid surface, or something exotic. 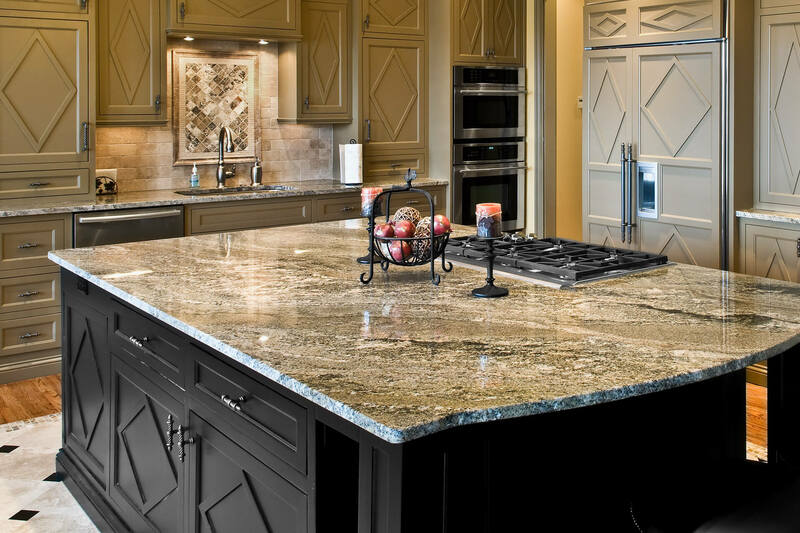 Stone countertops are easily one of the best ways to have an impressive looking kitchen. There are a lot of different stones to choose from but unless you want to spend a lot for soapstone or slate I would recommend the popular options of granite or quartz. Granite countertops have been all the rage for decades now. These countertops are natural stone that is cut into countertops and installed in your kitchen resulting in beautiful envy inspiring counters. Quartz is an artificial stone countertop option. They take small bits of quartz and mix it in a 93%/7% ratio with a strong resin to create a material that looks and feels just like granite. The advantage of quartz is that it is stronger, and you can customize how it looks. However granite costs less than quartz. Tile countertops have become less popular over time but they have their advantages as well. 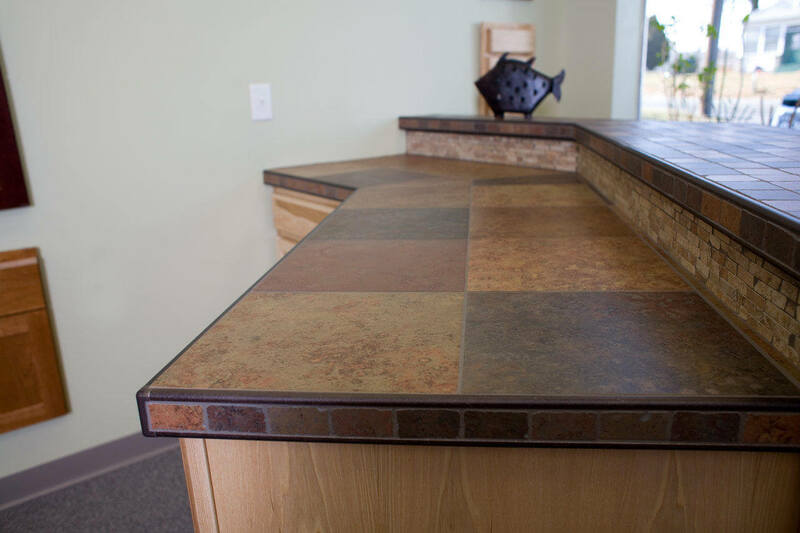 As with stone countertops you can place hot items on the counter without worry of damaging anything. If you are installing tile countertops you have so many ways of customizing the look of the counters. Ceramic tiles are also a more affordable option when compared to stone. The main drawback that keeps most people from choosing tile countertops is the need to clean the grout lines. I have never found this to be particularly difficult but some people hate it. Nearly every household kitchen I have ever been in had either stone or tile counters. But at least half of the cheap apartments and hotel rooms that I have been in have had some kind of solid surface. 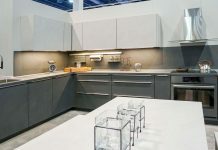 Solid surface is basically some kind of wood countertop that has been covered in a strong acrylic or resin or some proprietary material to give it the desired countertop qualities. For the most part these countertops are easy to clean, durable and affordable. I don’t like solid surface counters because you can cause serious damage with careless use of cutlery and hot pans. I have had some bad experiences. Most people find what they are looking for in a countertop with stone, tile, or solid surface. If you find that you have a specific need and these countertops are just not cutting it, you should take the time to explore other options. 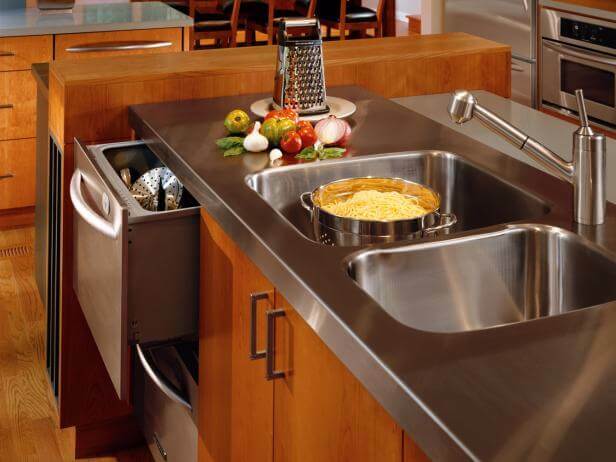 There are many advantages to stainless steel if you don’t mind that industrial look. Tempered glass counters are very unique for kitchen spaces but they can be expensive. If you do a lot of chopping you can make your whole counter space out of butcher block material. When you start diving into it there are many options out there if you are willing to pay for them.